Many articles written about me are not based on facts. They say I am having back problems or I am burning out. These statements are not true. I have no back problems at all and am healthier than ever. After winning 10 world titles in powerlifting and being only 28, I am not burned out and plan to break some world records soon. I could break a world record any day, but I'll prove it at the coming Senior Nationals. When my lifting totals are up or down it has nothing to do with drugs. During an average year I take four to six months off training, which can affect my totals. Usually, my time off from training averages about eight weeks here an there which amounts to about five months each year. I am willing to take a drug test any time of the year, plus I am in favor of drug testing at the Senior Nationals. I have never used steroids before, and just lifting naturally I have never peaked with any of the lifts. I know I can be stronger than ever and, as I said, I intend to prove it. Fear has never entered my mind during competition. I am not afraid of anyone. I like competition because it motivates me to train harder. 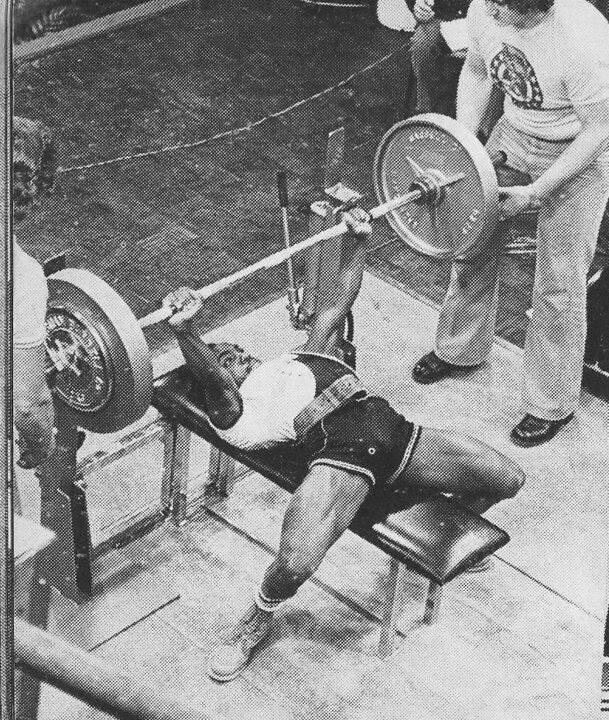 People from the past, like Precious McKenzie or Joe Bradley, and more recently Claude Handsor, and other good lifters have been great motivators. Also, I would like to congratulate Claude Handsor on his win at the Senior Nationals and his victory at the World Championships. Claude is a true sportsman and I will enjoy competing against him again this summer. People say my long arms or having scoliosis are the reasons why I am so strong. Once a lifter approached me at a meet and said, "I wish I had long arms like yours so I could be stronger in the deadlift." I do not use excuses for anything. I believe my knowledge and training are the reasons why I am so strong. People always want explanations for my heavy deadlifts. 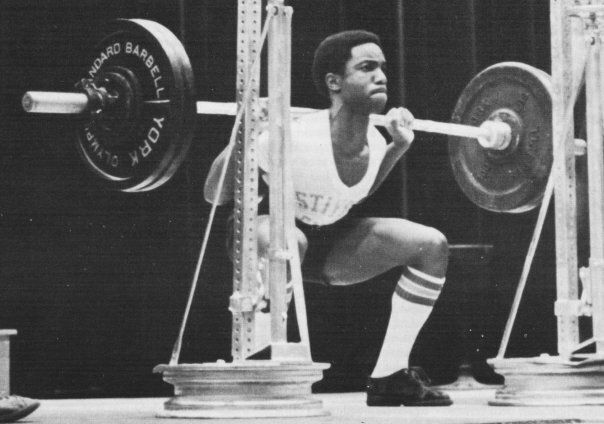 What about my past official world record squat and bench presses? Long arms do not help there. I am the only lifter in powerlifting history who has held an official world record in every one of the lifts and the total. Just trying to move the deadlift off the ground is the hardest part for me. Not many lifters can even slightly budge the weight I deadlift. Some people have the impression that I am a vegetarian or fruitarian. This is not true; I eat a well balanced diet with meat included, although it is true that my consumption of protein is far less than most lifters. Most of my diet consists of a large portion of fruits and vegetables. I am not fanatical about any diet principles, I eat what I fell like eating and take supplements. On December 14th at the Rocky Mountain Powerlifting meet in Colorado, I achieved a 1460 qualifying total for the 1986 Senior Nationals. This total was 94 pounds higher than the total that won the 132 pound class in the November, 1985 World Championships held in Finland. My bench was 300, squat 510, and the deadlift was 650. I had the power to lift up to 40 pounds more on both the squat and the deadlift, buy my main objective is to stay healthy. During the Senior Nationals last summer some officials, friends, and myself thought that I had at least one god bench press, maybe more. After I got disqualified for my bench presses, everyone was booing for a long time and about one third of the audience got up and left. I do not have bad feelings about the past Senior Nationals, I just feel motivated to train more consistently and break some world records. "The power intelligentsia (a contradiction in terms if there ever was one) dismissively labeled Lamar a “genetic freak,” and ergo, his Old School training methods therefore have zero relevance for normal individuals. 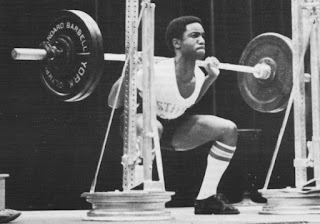 This was and still is shortsighted and ridiculous – we have no lessons to learn from one of the greatest lifters in history? So we should take our training and strength cues from whom? Men that could not carry Lamar’s proverbial gym bag? 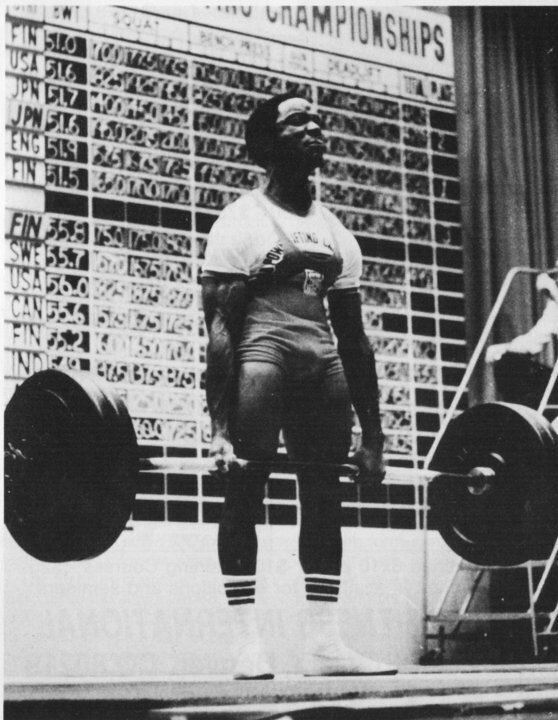 How Lamar trained was simple and direct: hit each lift once a week using straight-line periodization." The first two paragraphs are worth reading over a few times.